Santa being pulled in by a team of Siberians to deliver presents for the children at the Dogs NSW Christmas Show 2015. A great evening had by all. A special thanks to all the members who participated including their Siberian Huskies. A special thanks to Santa, the driver of the rig – Ivan Douglas, the Bell Ringer Robyn Foster, and the Elves Tyler Arcus and Summah Lloyd. Handlers, Rob and Heather Kite, Joanna and Andy Montgomery, Olivia Brunton, Tiffany Berry, Margaret Arcus, Robert and Bobby-lee Lloyd and Craig Foster. 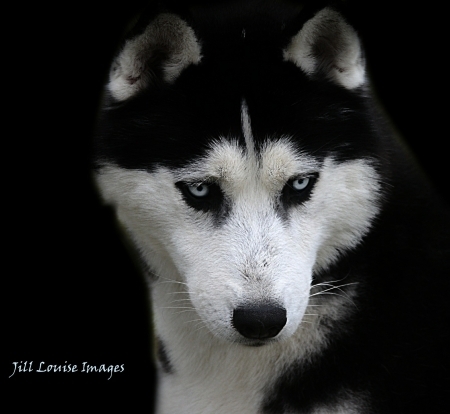 The Siberian Husky Club of NSW is about connecting with other people who share your passion for Siberian huskies. Whether you are a breeder or an owner – or both – the club works hard to run events and provide resources that are of benefit to members as well as the Siberian husky breed. The club Committee is here to help meet the needs of its members, and member enquiries on any topic are always welcome and are treated with priority. The committee of SHCNSW is elected by members in September each year, and serves a one year term from September through to August. The committee members are responsible for the running of the club, and are also owners of Siberian huskies themselves, so are enthusiastic about maintaining and promoting the breed. Any club member can also self-nominate for one or more sub-committee positions each year, and serves on sub-committee for a 1 year term from October through to September. Sub-committees help to share and carry out the workload of each of the club’s main activities, so member support is vital. We welcome questions, comments and new ideas, so please don’t hesitate to contact one of the members below, for help with your enquiry.